Chef Scott is an honors graduate of The Culinary Institute of America in Hyde Park, NY and a First Level Sommelier, certified by the Master Guild of Sommelier. Hemmerly began his Atlanta culinary career with the prestigious Ritz-Carlton, Buckhead as the Banquet Chef for over 4 years. In 2008, he was part of the opening team for The Mansion on Peachtree, a Four-Diamond, ultra-luxury boutique hotel in Buckhead. After one year he was appointed Executive Chef, where he oversaw all culinary aspects of the hotel. 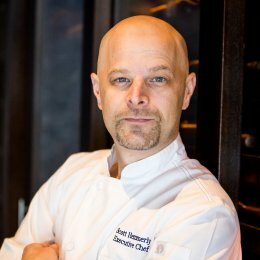 Chef Scott then became Executive Chef at The Peachtree Club, which was recognized as one of the top venues in Atlanta for weddings and catered events during his tenure there. Hemmerly then spent some time as Executive Chef at The Hyatt Regency Pittsburgh, and also served as a member of two local college’s Culinary Arts programs Board of Advisors. He later returned to Atlanta as the Executive Chef of the Hilton Atlanta Airport & Towers, where he oversaw all Culinary Operations of 507 guest rooms, 34,000 sq./ft. of meeting space, Andiamo & Magnolia Grill restaurants, Finish Line lounge & In Room Dining. He joined the Ray’s Family in Spring of 2017 and has enjoyed the nice balance of a corporate restaurant combined with a true entrepreneurial spirit. His greatest love in life is his Wife Euriel and Son Emmanuel. A native of Columbus, Ohio, Scott loves his Ohio State Buckeyes as much as he loves to cook. During his off time he can frequently be found wondering mountain hiking trails like the Appalachian Trail. Scott has a passion for farm to table cuisine and is member of PASA (Pennsylvania Association of Sustainable Agriculture), Georgia Organics, Slow Foods USA, as well as being named by The Mother Nature Network “Top 40 Chefs Under the Age of 40”. With over 10 years of sales and event planning experience, Bonnie is extremely passionate about planning and delivering unforgettable experiences to guests. Bonnie’s sincere love for people and desire to help create perfectly-planned and executed events have led to her successful career in this industry. Bonnie graduated from the University of South Carolina's School of Journalism and Mass Communications with a degree in Public Relations and a minor in Business Administration. 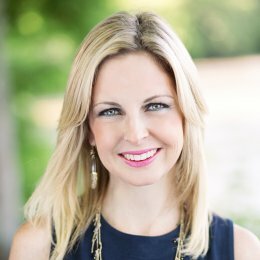 Having grown up with two older brothers, she became an avid sports fan and joined the Carolina Panthers Sports Marketing team directly after graduation, and later the Georgia Tech Athletic Association. It was at Georgia Tech where Bonnie realized her true passion for hospitality. This continued to grow as she transitioned from working in sports to booking and planning events for Maggiano’s and later the Piedmont Room/Piedmont Garden Tent. Throughout her career, Bonnie has planned and customized hundreds of weddings and even more corporate and social events.  She joined Ray’s on the River in April 2018 as the Sales and Events Manager and has enjoyed being a part of such a strong team. Her attention to detail and desire for perfection ensures that any event planned will exceed your expectations!